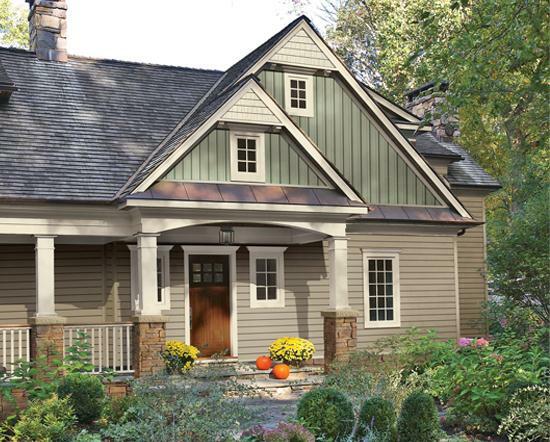 This durable siding option provides the charming look of wood siding without the associated maintenance. If you want to keep the look of traditional wood siding, yet you also want your siding to continue to boost the curb appeal of your home well into the future, then turn to Home Solutions of Iowa for our engineered wood siding. We have served over 25,000 happy homeowners in Des Moines and throughout the state, and our commitment to installing only superb home improvement products along with providing stellar customer service has earned us an A+ rating with the Better Business Bureau. Attractive – Available in a cedar grain texture or smooth finish, this cladding looks just like real wood. Additionally, the boards are longer in length than traditional siding, reducing the number of seams. Durable – Engineered wood siding resists damage from impact better than wood, vinyl, and fiber cement siding. Protective – LP® engineered wood siding is treated with four components that will help it protect your home against termite infestation, water damage, and fungal decay. To learn more about our engineered wood siding, contact Home Solutions of Iowa today. When you do, we will be happy to tell you about our financing opportunities for qualified homeowners and schedule a complimentary consultation at your home in Des Moines or elsewhere in Iowa.